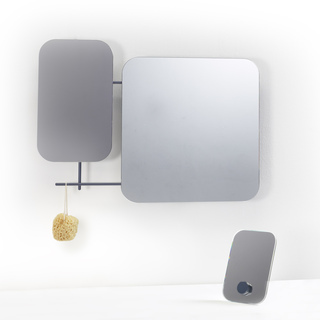 Series of two wall mirrors and a small standing mirror inspired by the Patchwork Collection by Cotto. To play with our sensual perception and to support our little everyday vanities the PIET series always comes with one mirror in colored glass, offering to look at our reflection in a softer tone. 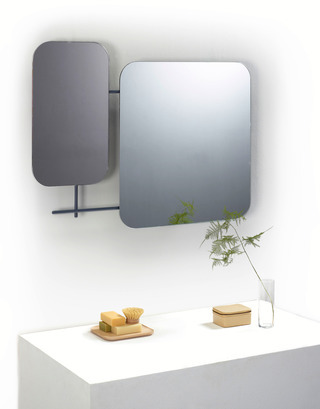 The mirror is either grey or bronze. The mirrors are suspended from the wall by a light steel structure. Their distance to the wall gives them a floating appearance whereas the intersecting bars relate to textile and graphic patterns. 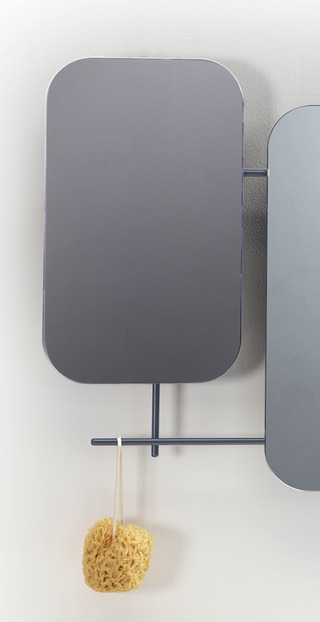 The small standing mirror is double-sided so that the user can chose the preferred color.